It's a red letter day when you play this Skylark. 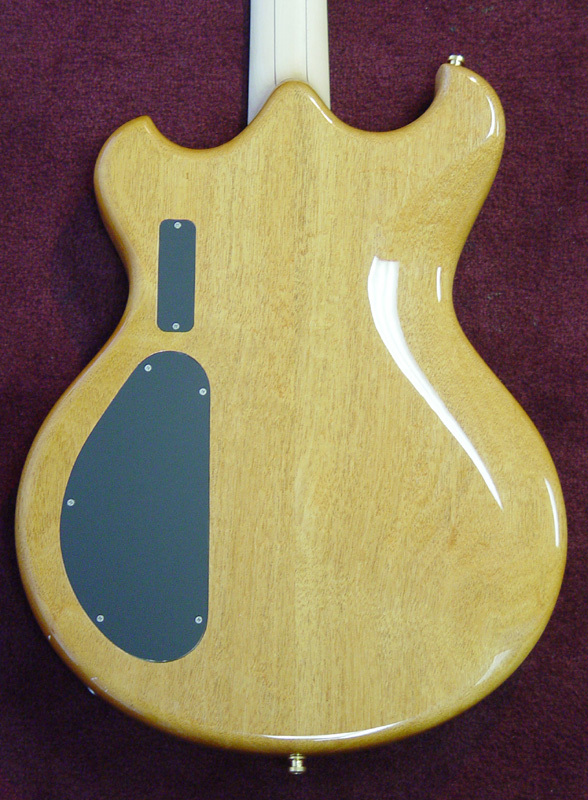 We've only made a handful of Skylarks with Coco Bolo top laminates. This one is unusual among them as it's only the second time we combined the Coco Bolo top with the wide Vermilion accent laminate and Maple pinstripe. 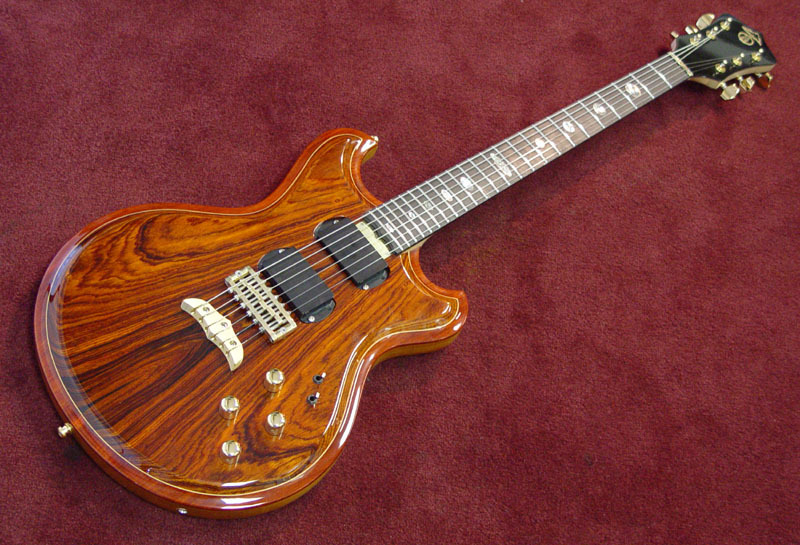 This sandwich is perched upon a Mahogany body, for a sound that is warm and even, with plenty of supporting lows and crystal highs. 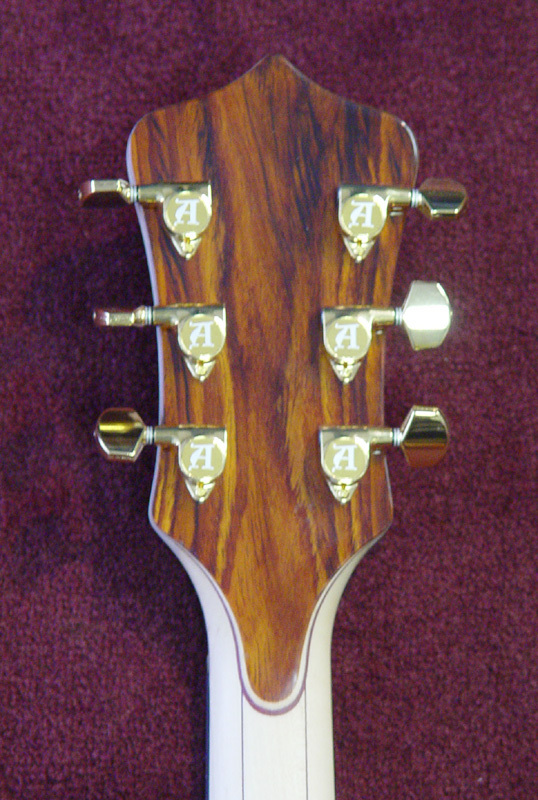 Inlays are upgraded on this Skylark as well. 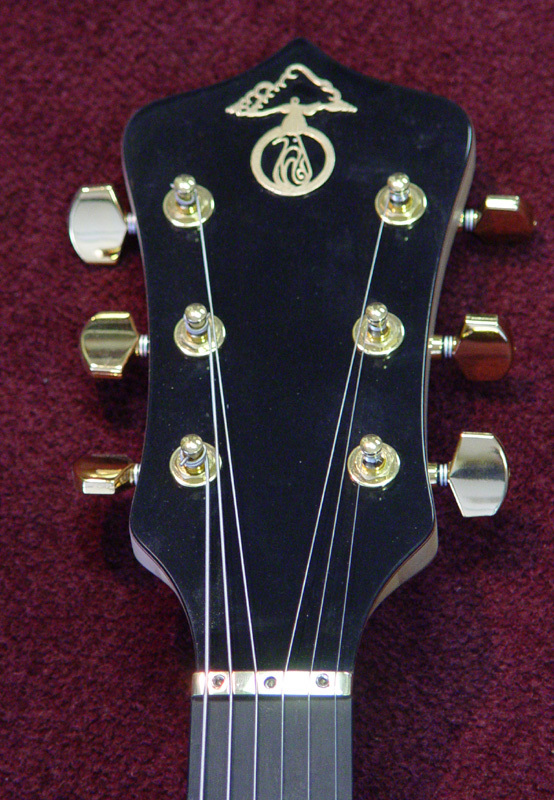 We've inlaid ten nice, heavily figured Abalone shell oval markers on the Ebony fingerboard (did you see the little carving at the tip of the fingerboard?). Side position markers are inlaid aluminum.